Couples can choose from the grand, historic lodge, the spacious suites, or serene privacy of deluxe cottages for that romantic stay. For those who love golf, the Inn offers luxury accommodations right on the course. Right near a beautiful lake, Close to waterfalls and wildlife it provides the escape of a lifetime. 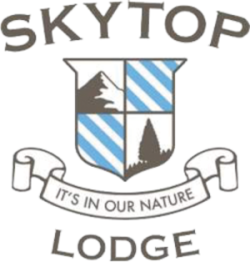 Skytop Lodge has been a premier northeastern resort for over 75 years offering a selection of lodging that is as unique as the needs of its guests. Description Room offers a full wall of french doors opening onto a covered slate patio, lawns and gardens. The meeting room divides evenly into thirds providing three smaller rooms of 1,344 sq ft. Play a round, in the spectacular scenery of the Pocono Mountains, on a championship course rated among the finest in the East! Golf Digest’s Best Places to Play rates our course 4.5 stars. The tees, greens and fairways are impeccably maintained. Tucked into the heart of the 5,500-acre Skytop estate, the course meanders through landscaped gardens and trees. The Brian Boyle School of Golf at Skytop is PGA-recognized, teaching fundamentals of grip, aim, set-up and impact position and helping you become a more complete, consistent player. The school includes five hours of instruction, video analysis, range balls, take-home instructional manuals, clubs and refreshments. Season: April 1 through Thanksgiving weekend. Skytop Lodge, a grand historic resort surrounded by stunning Pocono Mountain vistas. Live camera at Skytop Lodge!